112 Acres - $2,495,000 Rockin Star Farm is a unique waterfront and pastureland investment opportunity on the shores of Table Rock Lake in the Southern Ozarks of Missouri. Rockin Star offers over 1/3 of a mile of high-quality, undeveloped shoreline frontage on pristine Table Rock Lake. Its compelling waterfront amenity offers a classic family estate home built by Rick Ramsey, which is enhanced by the financial and amenity benefits of the water frontage, pasture, private boat dock and million dollar views. The property shoreline is flanked by a mix of oaks, cedar, pine and walnut, creating an iconic setting around the perimeter of the property. This waterfront building envelope serves as a prime location for the family estate overlooking the water with direct, west-facing views of the lake to capture brilliant sunsets. This lake shore property is ready for horses, cows, or just enjoying as a private sanctuary for wildlife. The property has walking/riding trails to get your morning exercise or to sneak into a deer stand for a quick morning or evening hunt. A custom gate welcomes you as you enter this private sanctuary and drive down the 1/2 mile paved road leading to a stunning lake home made of stone and beveled timbers, a cedar deck with dramatic lake views, commercial grade kitchen, open floor plan, massive stone fireplace, sensuous master suite, and much more. In addition, the home features GeoThermal heating and cooling, reclaimed wood floors, beams, and archways throughout. Boaters will enjoy the private permitted 2-slip boat dock. The property also includes a 48 x 60, 4-stall barn with three covered entrances, wash/grooming bays, tack and bunk rooms with fridge and half-bath, three 24 x 24 covered outdoor stalls, arena, two large paddocks, one cattle equipped. Also on the property is a historic hay barn and new equipment building. Call today to set up your own private showing of this amazing property. Video and more pictures coming soon. SOLD 918 Acres - $1,147,500 Deer hunters take notice! This farm has all you could ever want. This is a nice bottom ground and rolling ridge farm that has 1.9 miles of Swan Creek flowing through the property from east to west giving the deer a natural travel corridor and thick bedding cover. There have been multiple food plots and large holding plots established. Having the food will greatly increase the odds of holding and harvesting big Booners for years to come. This farm has an excellent cabin and shop with an outstanding road system to sneak in and out of hunting areas. The farm is known to have some of the best turkey and deer hunting in the area. The big toms roost along the creek and then pitch out into the open, hardwood timber or green fields. Location is amazing being just minutes from Springfield and on a blacktop road. Give me a call today and we can take a look at this dynamite farm! 78 Acres - $495,000 The Hunter Creek farm is as rare as they come with million dollar views, excellent deer and turkey hunting and great access to live water. The property has two named creeks and multiple springs which are sure to provide hours of fishing, swimming and family enjoyment. From the moment you enter the home, you will be overwhelmed by the impressive use of rich woods along with the massive windows which allow for views of the creek below and the beautiful Missouri Ozark Mountains. The large front porch area creates an environment of relaxation and tranquility. The kitchen is sure to please even the most demanding chef. Professional appliances, additional pantry, and a well-designed work area will add to the pleasure of creating a culinary masterpiece while still being able to entertain guests and enjoy the outdoor views. The property is surrounded by large landowners and is located in some of the best deer hunting in the county. The barn/shop is used to house equipment and provides an ample work area for any project. Whether you are looking for an incredible live water property, hunting retreat or just a beautiful home in the country, this place has it all and is priced to sell. Don't miss the opportunity to own this great Southwest Missouri property. Call me today for more information on this great property. Remember, buy land; they're not making it anymore. 1,245 Acres - $3,423,750 The Wings of Dawn Ranch is a premiere property. From the magnificent ridge-top views overlooking the rugged Southwest Missouri terrain, this ranch reflects the conservationist's vision and the American dream of large land ownership. Sit and listen to the elk bugle on a cool crisp morning or see a black bear and cubs walk across one of the savannas. It doesn't get any better than this. Location of this property is remote, yet within a few miles of the vibrant cities of Branson/Hollister and Table Rock Lake. The property is one of the most beautiful and interesting places in Missouri; it also has many historical areas. The property is dramatic in elevation from 800 to 1400 feet. For 35 years, the property has been managed in conjunction with Missouri Department of Conservation and the USDA/NRCS. The ranch is fully restored to Pre-1900 conditions and has been protected from outside influences of both man and machine. There is much diversity with glades, savannas, mountains, springs, two creeks, caves, forested areas with large mature timber and many ponds. The best description of the terrain would be mountainous with mature timber in different stages of growth, interspersed with glades and savannas. In a land of rich beauty and unspoiled nature, you will find a place where time slows, providing the perfect backdrop for recreation and relaxation. The Branson Ozark Mountain Ranch is nestled among some of the most breathtaking scenery in Missouri and offers hunting, development possibilities, horse facilities, livestock operations, and valuable water rights. The ranch is comprised of much diversity with glades, savannas, mountains, pasture land, springs, hay meadows, wooded creek bottoms and forested areas with nice timber. The ranch improvements consist of a 1,600 square foot ranch home built in the 1920's, horse stable and outdoor show arena built in 2006 and totaling around 15,600 square feet. 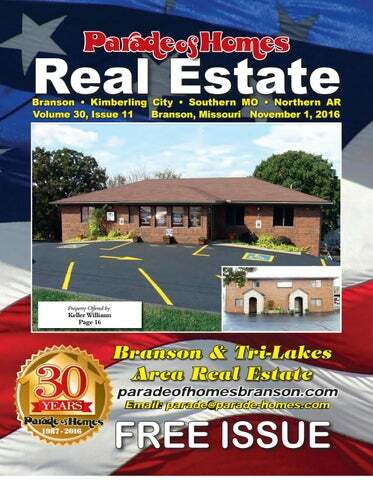 The property's location is just off Ozark Mountain Highroad and smack dab in Branson, and next to Table Rock Lake. As they say location, location and location; It doesn't get any better than this. The property is dramatic in elevation from 845 feet to 1350 feet making for the most incredible views and boasts over 1/2 mile of Roark Creek frontage and bottom lands with abundant hunting and recreational opportunities. This property is loaded with wild game including deer, turkeys and you can do some fishing in the ponds and creek. Resplendent with its beautiful forest canopy, miles of creeks, imposing ridgelines, meadows and cedar groves, it is impossible to fully convey the grandeur of this property. 240 Acres - $369,000 Priced to sell! Whispering Pine Farm is a very nice hunting farm with outstanding pasture ground. Whether you are a farmer looking to expand your farming operation, a hobby farm owner, a hunter or someone who wants the luxury of having country living and wildlife, this property is for you. This farmstead is located just minutes from area lakes and rivers and is complete with a NEW 1065 sq. ft. farmhouse, barn, large pole shed, and other outbuildings to run your farm operation. The grass fields can run over 24 cow/calf pairs with the large stands of cool season grasses along with clover for the wildlife. Multiple springs and ponds water the cattle and wildlife. Outstanding bottom ground for production also. With the endless food plot areas and hardwood timber, this is a great hunting destination. If you are looking for country living, cattle operation, hunting and income potential, this is the property for you. Property is secluded, scenic and priced to sell. Give me a call to see this turn-key property. This working cattle farm offers a solid income with cattle and hay production for the future owner. Water is abundant with over a 1/2 mile of Osage Fork Gasconade River frontage and a nice pond. With the road frontage and beautiful homesite options, this property also offers the opportunity to build your dream home or make a solid investment for development. When you say this farm has it all, it is an understatement. The property has the perfect location, being only minutes to Marshfield and forty-five miles from Springfield. Come experience the American dream of land ownership with this income producing property. SEEMS LIKE A VACATION. FEELS LIKE HOME. Majestic living on table rock lake. Pointe Seven offers you and your family all of the amenities of lake home living and none of the hassles. Well-appointed, meticulously maintained, 2 & 3 bedroom condos across the Kimberling City Bridge at Highway 13 and Pointe Seven Road. Boating activities, world-class entertainment, shopping and dining are all within easy reach. Enjoy as much or as little as you’d like. BOAT SLIPS AVAILABLE! Live in Table Rock Lake’s best kept secret! This beautiful, serene subdivision has lake front lots, outstanding lake view lots and three boat docks! Each lot owner may purchase a slip and enjoy great fishing and water activities in a tranquil area of Table Rock Lake. Seller will consider boat slip discounts with the purchase of available prime lots! Top Notch on Table Rock Lake!. Come and see this first class lake front home. Offers 5 large bedrooms (2 Master Suites), 5 full baths, 3 living areas (one in the open loft area), Soaring ceilings, granite counters, gorMLS #60029974 geous hardwood floors, laundry areas on the main level and basement Lake front home with 6092 Sq Ft level. Storm room. Custom patio and outdoor living spaces with picture 5 Bed, 5 Bath, 2 Master Suites perfect landscaping and a water fall. Just imagine sitting with your 3 Living Areas, Soaring Ceilings morning coffee listening to the water fall or enjoying a large gathering with family and friends at the lake house. Gentle slope to the water. Private Dock Slip Available Slip available on the community dock with great access. This home is spectacular, call Alex for a showing today. LAKE FRONT You’ll feel like you’re on vacation in your very own home. This beautiful • MLS #60035640 5000 sq. ft. (m/l) home with walk out basement is nestled in the forest and located on a gorgeous lake front lot at Table Rock Lake. The sale • 4 Beds, 4 Bath, 4 also includes the additional lake front lot next door. This offers clear views of lake from almost every room in the house, including the base- with RV Parking ment. Easy access to your boat slip (optional) located directly behind • 5000 Sq Ft the house. If you’ve dreamed of a shop, you’ll have a built in shop with this 4 car garage and large work area. All the advantages of a shop with- • Private guest BR out the metal building! This home offers everything you’ve dreamed of. downstairs. Truly a must see and once you get there...you won’t want to leave! 3.5 Acre Estate with year around lake views. Brick & Stone front with turret entry. Features include 5 BD, 6 BA, Ceramic tile & Hardwood floors, Granite counter tops, Hickory cabinets and Gas log Fireplace Lower level is a Mother-in-Law suite with walkout. Adjoins 400 Acres of National Forest. 10x28 Boat Slip available for additional $$. 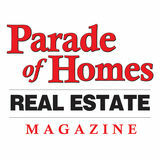 love the way we do real estate! ... LAKEFRONT LOTS STARTING $59,900! Built Right’s Mission is to build comfortable, quality homes that area affordable for working families, young professionals, and retirees, alike. Don’t Wait! In 90 Days You Can Be In Your New Stick-Built Home As Low as $50 a sq ft! Come and see us at 4055 East State Highway 76 in Kirbyville, MO 65679 to start building your dream home today! NO CREDIT CHECK! RENT TO OWN! Portable buildings, cabins, sheds, utility buildings…FREE Set up and Delivery! Need a Metal Building? We build those too! Starting at $14 PER SQ FT! Call or visit us to start your metal building project today! CALL TODAY 417-544-0850! Regular price is $96,500, November Special Price $89,900! If you sign a contract in November *Not valid with any other offers. 44 Acre Lakefront Development Lane! Lakeview Log Home Near Big Cedar Lodge! Brick & Rock Lakefront Home All On One Level! 4 acre lakefront estate with private dock! 4 bedroom farmhouse with horse stables! 11 Acre Lakefront Peninsula With Cabin And 3 Stall Dock! Saddlebrooke is a Great Place to Call Home! Lakefront Home With Boatdock Zoning! wild acre ranch, est. 1916!! Consists of 140 rolling acres! Lakefront Cabin with Slip Available RIght Behind House! Branson Rock & Brick Front Ranch Home on 5 ACres! Immaculate 3 bedroom, 2 bath, 1820 Sq. ft. home! quality built home, quality neighborhood, and great location! Upscale Home On 5 Acres! Branson Schools! Designer Finishes & lots of character! Choose10403 Branson Landing Blvd. 3 full bedrooms, huge walk-in closet, 3 full bathrooms with Jucuzzi tubs, tiled showers, 2 story with gorgous staircase. Includes a Butlerâ&#x20AC;&#x2122;s kitchen along with formal kitchen. Over 2100 Sq. Ft. of living and 2 car parking spaces in garage. $489,900. A two bedroom, 2.5 bath, covered balcony overlooking the fountians and the town square. $339,00. Spectacular building located in the “heartbeat” of the city of Branson with some 8 million tourists that visit the Ozarks each year. This site has “front row” visibility on the famous Branson Hwy 76 Theater “Strip”. This is a 18,630 ft2 building located on 2.75 acres facing the Hwy 76 Theater “Strip. It is a two-level building with front, rear and side access. This “high visibility” building is surrounded by 103 parking spaces including three bus spaces, all located on asphalt. The museum is located on two levels (12,000 ft2 main level and 6,300 ft2 upper level) with lobby area, gift shop, conference and “Great Hall” display rooms and a fully equipped 3-bedroom apartment on the upper level. The building is of contemporary, log-sided design with restrooms provided on both levels and that are handicap accessible on the main level. Areas exterior to the building are outstandingly landscaped. This building is located within Branson’s designated “Spirit of 76” multi-year upgrade project that commits over $100 million for landscaping, underground utilities, pedestrian walking paths, interactive icons and rest areas, frequent trolley stops and crosswalks. Tremendous opportunity for retail space, museums, restaurants and amusement centers. Competitively priced for premium commercial building space! My Goal Is Your Satisfaction! “Fall market is in full bloom” Live on your own Peninsula!!! Looking For A Turn Key Business??? 417.593.9537 Julie.BransonHouse.com Your Key to the Ozarks Reduced! WATERview HOME ON Table Rock Lake! Splitrail subdivision - an ideal place to build your lake home! 417-272-6337 | 800-747-5824 Each Lot has a view of its own. Range from $40,000 to $169,000 | #60034718 - #60034744 Private 2-Stall Boat Dock! 211.0 ACRE FARM. Peaceful country setting. Two bedroom home with open kitchen dining area. Detached 2 vehicle garage/workshop 30'x34' and 27'x30' with 10' doors, several other out buildings and corrals. Nice rolling to level with some bottomland. At lest a dozen ponds scattered throughout. 223.0 Acres along Two Rivers Road. Touches Tory Creek Road. All wooded. Partially fenced. Ideal development for country homes with acreage. Branson biggest outdoor concert venue! Ideal location for apartments, condo's or any commercial venture. City water and sewer available across the highway. Property is across the street from OTC College. 211.0 Acre Farm Beautiful country side views in peaceful setting! Beautiful country side views in a peaceful setting!Two bedroom country home with open kitchen dining area. Detached 2 vehicle garage/workshop 30'x34'and 27'x30' with 2 10' doors, several other outbuildings and corrals. Nice rolling to level with some bottomland. At least a dozen ponds scattered throughout. Special priced 158 Stillwood with no steps! Basement Unit Available. Completely finished Up & Down, with Storm Shelter. 9 Treehouse Lane, Branson. WALK-IN UNIT with a sweeping view of Table Rock Lake. Condo perfect for getaways to Branson. 2BR, 2BA. Fully furnished. Ready for your first guests! Nightly rental. On-site rental management. MLS360051747. $148,900. 106 Oxford, Unit 2, Branson. 2BR, 2BA condo in gated community. Comfortable living room with fireplace. Ground floor patio. Spacious kitchen with granite countertops. Association includes exercise room, clubhouse & 2 pools. MLS#60048660. $109,950. 32 Golf Shores, Branson. Move in ready 2BR, 2BA condo is close to shows, shopping, schools, both Lakes & medical facilities. Fall Creek Resort includes a beautiful marina with rentals or slips for lease. Beautiful walking trails throughout the resort. MLS#60047570. $49,900. 31 Royale Vista Drive, Branson. Live the Good Life with a Panoramic View of Table Rock Lake. 2BR, 2BA luxury condo. Spacious interior 9’ ceilings, crown molding. Enjoy the warmth in the winter or cool in the summer of the cozy 4 season sunroom. MLS#60044874. $259,900. 111 Oxford Court, Branson. 3BR, 2BA condo in secluded & gated Palace View. Updated kitchen, vaulted ceilings, wood burning fireplace & large outdoor entertaining space. Amenities include 2 pools, clubhouse with exercise room, sewer, trash, snow removal & gated entrance. MLS#60058941. $144,000. 4-12 Treehouse Lane, Branson. Fully-furnished 1BR, 1BA condo with expansive views of Table Rock Lake. Condo has large semi-private patio overlooking the lake & rolling Ozark Mountains. Nightly rental program available. Reserve your favorite days, rent the rest! MLS#60023848. $64,900. 200 Golf View, Branson. Golf Front & Golf View Condo with Lock-Out Unit. Two rental units consistently rented. Incredible investment opportunity. Includes appliances. Thousand Hills, The Club Condos, with 1st Class Golf & Country Club amenities! MLS#60061133. $72,000. 1101 Riverstone Drive, Branson. Experience the serene setting of River Bend Place in this beautiful, ultraspacious 2BR, 2BA condo. Open floor plan, rich finishes, stainless steel appliances, granite countertops, four season sunroom with fabulous views of Lake Taneycomo. It’ll be love at first sight! MLS#60016772. $235,000. 18 Goldfinch, Branson. Fabulous & stylish, fully furnished. Contemporary color scheme & fixtures, furniture, fabrics & flooring!! 900 sq. ft., 2BR, 2BA with winter lake view. Walking trail directly to Table Rock Lake. MLS#60055515. $73,000. 100 Woodland Drive, North Branson. Two master BR suites, each complete with jetted bathtubs & separate showers. Updated galley style kitchen. Oversized living room with screened fireplace gives way to the peaceful veranda. Two-car garage included. Amenities consist of an outdoor pool & exercise room. MLS#60064670. $105,000. 310 South Wildwood. Golf Course View & Walk-in level, incredible 2BR, 2BA lock-out unit. Washer & dryer in both main condo & lock-out. Updated with fantastic stylish finishes make this unit move-in ready! Pool, basketball & shuffleboard adjacent to your building & golf course in your back yard. MLS#60047238. $108,900. LAKE FRONT - WALK TO THE WATER! 2290 Indian Point Road, Branson. AWESOME Location! Walk-in level Luxury condo. 3BR, 2BA. Completely furnished w/upscale decor, electric fireplace, beautiful hardwood floors. Close to Silver Dollar City & popular Indian Point Marina on Table Rock Lake. MLS#60046223. $249,900. 19 Par Lane, Branson West. Walk-in 2BR, 2BA condo. Beautiful glass tile backsplash, stylish finishes throughout. Wonderful covered patio with golf view. Gated community of StoneBridge Village, great amenities including Ledgestone Golf & Country Club. Swimming pool, tennis, golf course, fitness room, walking trails. MLS#60059468. $115,000. 10 Treehouse Lane, Branson. Amazing Table Rock Lake view. 2BR, 2BA condo with up-todate details & furnishings. PLUS, SO MUCH MORE!! Includes a two-car garage directly below condo! You will not find another like this!! MLS#60062896. $165,000. 351 South Wildwood, Branson. Beautiful Golf Course View & Awesome central location. Furnished & spacious 2BR, 2BA. Open floor plan. Walk out from the sunroom to enjoy a peaceful stroll around the beautifully manicured Thousand Hills Golf Course. Nightly Rental available. MLS#60053269. $122,500. 3830 Green Mountain Drive, Branson. Fully furnished 2BR, 2BA Branson Kingsgate condo. Fireplace in living room. Walking distance to dining & entertainment. Nightly program available. COA includes most utilities & the pool! MLS#60051171. $113,900.